Addison, Texas, May 9, 2012 – Global DataGuard and EventTracker by Prism Microsystems are hosting an informative exchange of knowledge on today’s threat landscape and how ‘big data’ analysis and correlation is changing the way in which security professionals are now able to detect and prevent complex, evolving attacks such as Advanced Persistent Threats (APTs). 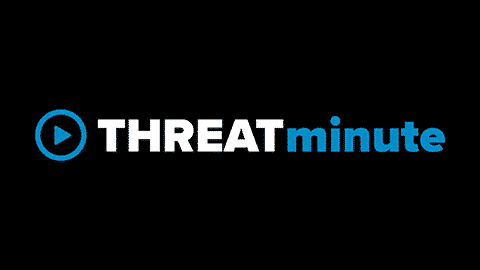 Part of the ISSA ‘Lunch and Learn’ series, the event, ;‘Threatscape 2012: Finding Advanced Persistent Threats with “Big Data” Analysis and Correlation,’ will be held on May 17 and speakers will include A.N. Ananth, CEO of Prism Microsystems, and Dean Trumbull, Vice President and Chief Operating Officer of Global DataGuard. Advanced Persistent Threats (APTs) are sophisticated assaults, carried out patiently over time by professional cyber-thieves who maneuver around traditional defenses, such as firewalls, and anti-virus software, in order to steal valuable or highly sensitive data. But how do you get actionable information that identifies when an APT is attacking your organization? Gartner analyst Neil MacDonald believes that the use of ‘big data’ offers new hope in advanced pattern detection that is crucial for actionable insight into APTs. This topic is ideal for Security Professionals responsible for regulatory compliance, risk management, and/or technology investments. Members and guests who bring their ICS2 Member ID to the luncheon will receive CPE credits from ISC2. Register now. About Information Systems Security Association, Inc. The Information Systems Security Association, Inc. (ISSA) promotes management practices that ensure the confidentiality, integrity, and availability of organizational information resources and is dedicated to raising the level of security and data privacy consciousness among information systems personnel in all organizations. ISSA Lunch and Learn meetings are open to both members and guests to assist in educating security practitioners of all types. Visit the North Texas ISSA website for more information on educational programs, special events, and chapter news. EventTracker by Prism Microsystems delivers business critical solutions that transform high-volume cryptic log data into actionable, prioritized intelligence that will fundamentally change your perception of the utility, value, and organizational potential inherent in log files. EventTracker’s leading solutions offer Security Information and Event Management (SIEM), real-time Log Management, and powerful Change and Configuration Management to optimize IT operations, detect and deter costly security breaches, and comply with multiple regulatory mandates. Visit www.eventtracker.com for more information. Follow us on Twitter @logtalk.